Grew up with KK Split (Croatia) youth teams. Made his debut with KK Split during the 1995-96 season. Played there till the 2000-01 season. Moved to Israel for the 2001-02 season, signed by Maccabi Tel Aviv. Moved to France, sent on loan on November '01 to ASVEL Villeurbanne. Back to Maccabi Tel Aviv for the 2002-03 season. Moved to Croatia for the 2010-11 season, signed by KK Split. On late October'10 moved to Turkey, signed by Efes Pilsen Istanbul. Named to the 2004-05, 2005-06 and 2006-07 All-Euroleague First Team. 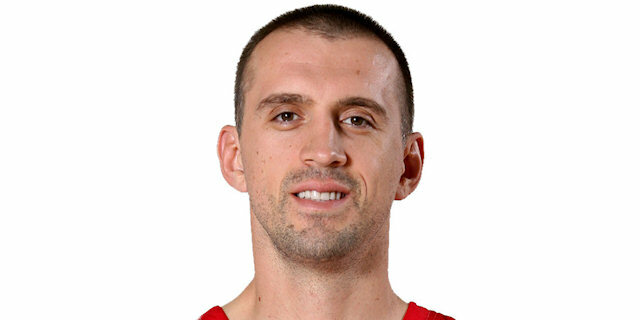 Named the 2005-06 Euroleague Week-1 MVP. Named the 2006-07 Euroleague Week-7, 10 and 12 MVP. Led the 2006-07 Euroleague in rebounding (7.6 rpg.). Led the 2006-07 Euroleague in defensive rebounding (5.9 drpg.). Won the 2001-02 French National Championship with ASVEL Villeurbanne. Won the 2002-03, 2003-04, 2004-05, 2005-06 and 2006-07 Israeli National Championship with Maccabi Tel Aviv. Won the 1997 Croatian National Cup with KK Split. Won the 2003, 2004, 2005 and 2006 Israeli National Cup with Maccabi Tel Aviv. Played the 1999 and 2000 Croatian All Star Game. Has been member of the Croatian U-16 and U-18 National Team. Won the gold medal at the 1995 European U-16 Championship, being also named the MVP. Won the gold medal at the 1996 European U-18 Championship. Played at the 1997, 1999, 2001, 2005 and 2009 European Championship.